July was full of crazy fun travel for me! If you follow me on instagram you know Luke and I traveled to Athens, Santorini, and Paris. After Luke left I headed to Montpellier to spend a week at a lab there for a collaboration. The trip was full of adventures, gorgeous sights, and absolutely delicious food! We took a million pictures and I have several blog posts planned as I sift through everything. I’ve just settled back into normal life (begrudgingly) which means cooking in my own kitchen again (one thing I’m actually looking forward to). I’ve found some amazing recipes I definitely want to try out and I think you’ll like them too! The Farmer’s Daughter – Chincoteague, VA: simple, fresh seafood, so tasty! Cold Brew Iced Coffee: The best way to get your summer caffeine fix. The Best Butter Burgers: Juicy burgers, full of flavor. Doesn’t this No-Churn Sugar Roasted Peach Pie Ice Cream (from How Sweet Eats) just scream perfect summer treat? If you’ve been reading for any amount of time you know I LOVE tacos, and these Easy Chili Lime Fish Tacos (from Pinch of Yum) definitely caught my eye! 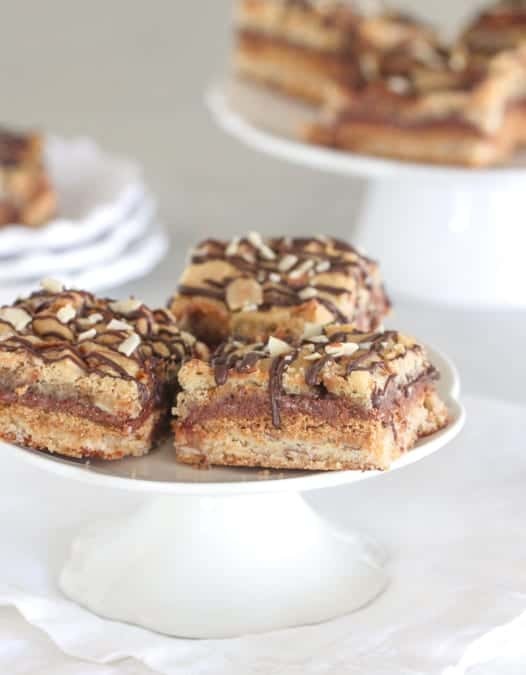 I’m always looking for new ways to eat more s’mores so these Gooey Almond Cookie S’mores Bars (from Picky Palate) are perfect! 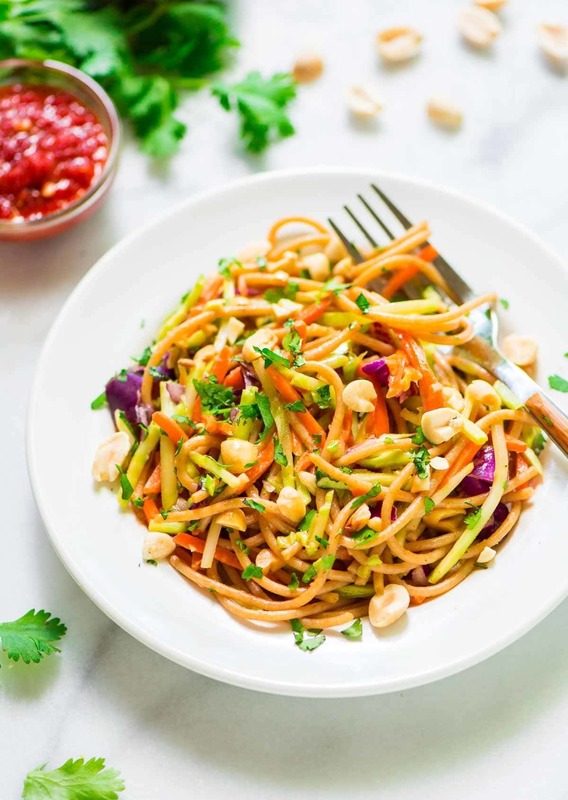 Asian Noodle Salad (from Well Plated) is the perfect summer dinner! 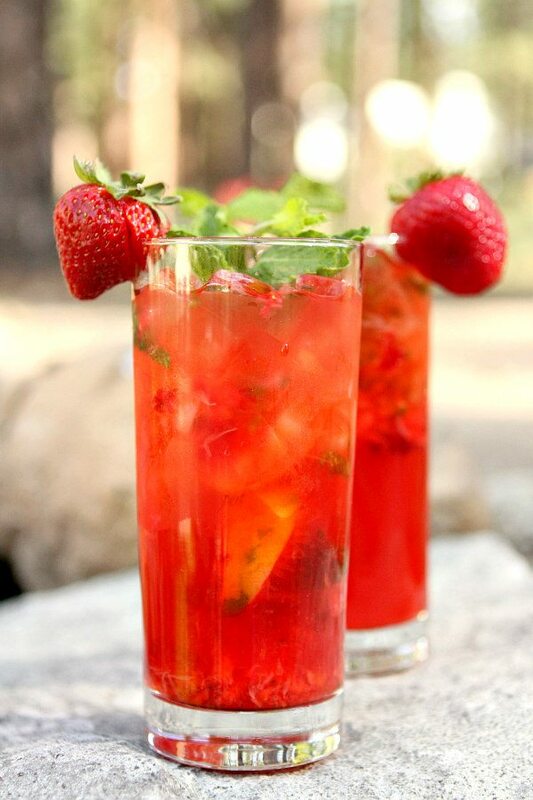 Let’s all relax and sip Strawberry Mojitos (from Recipe Girl) poolside while we soak up every last bit of summer! 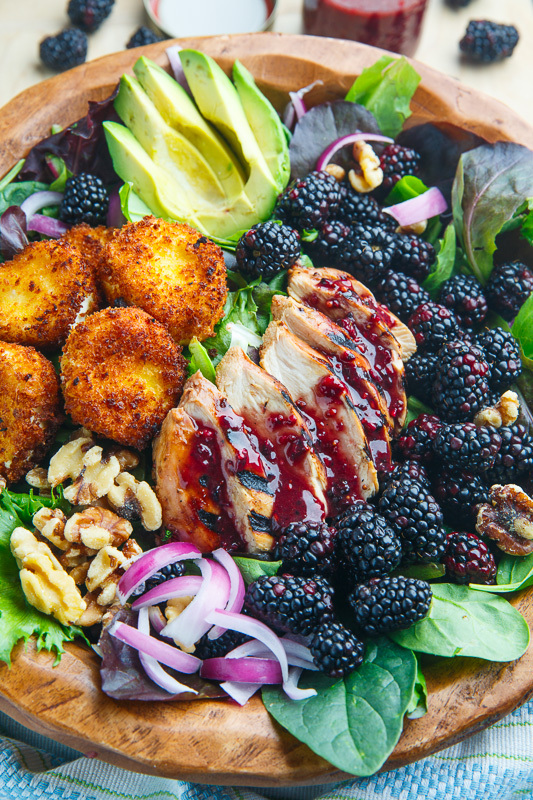 How gorgeous is this Blackberry Balsamic Grilled Chicken Salad with Crispy Fried Goat Cheese (from Closet Cooking)??? And the fried goat cheese, yes! 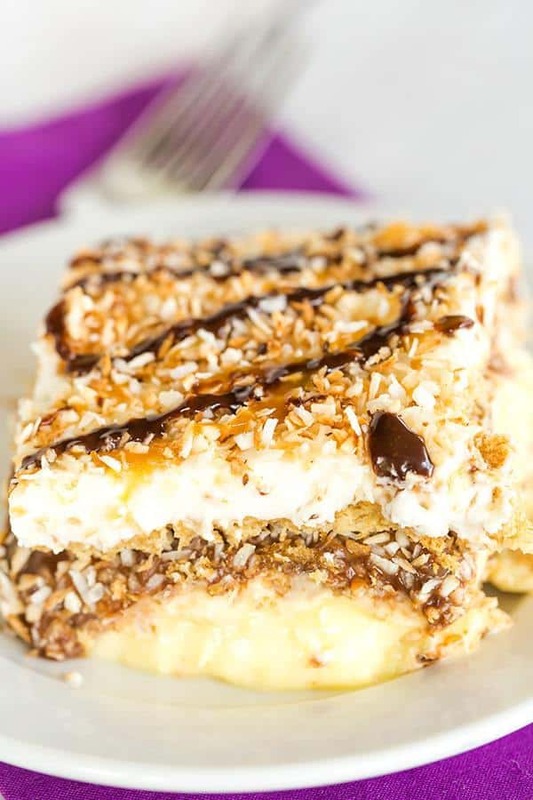 My favorite Girl Scout cookie in cold treat form – Samoa Icebox Cake (from Brown Eyed Baker). 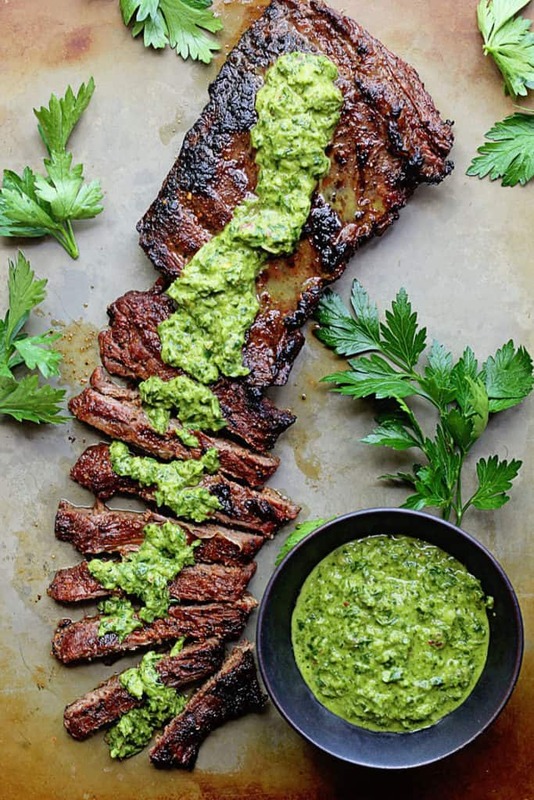 This Marinated Skirt Steak with Chimichurri (from Grandbaby Cakes) looks so flavorful. 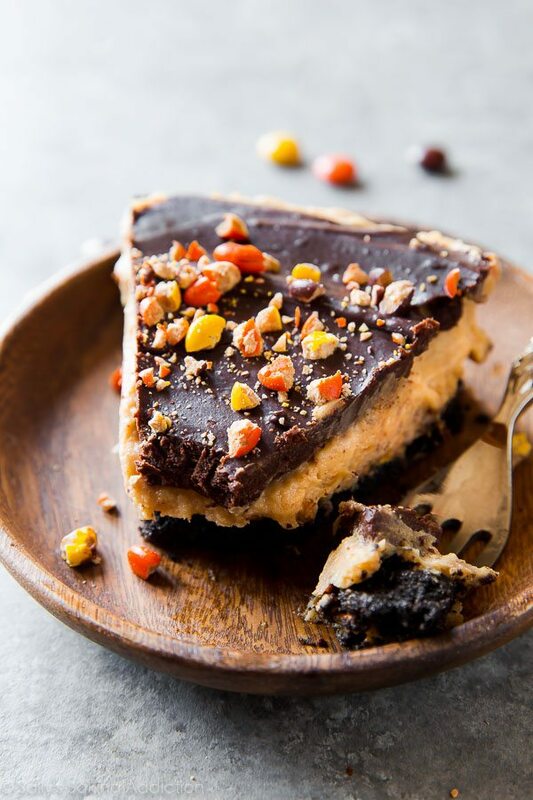 Unbelievable Peanut Butter Pie (from Sally’s Baking Addiction) looks so decadently delicious, creamy, rich, yum! 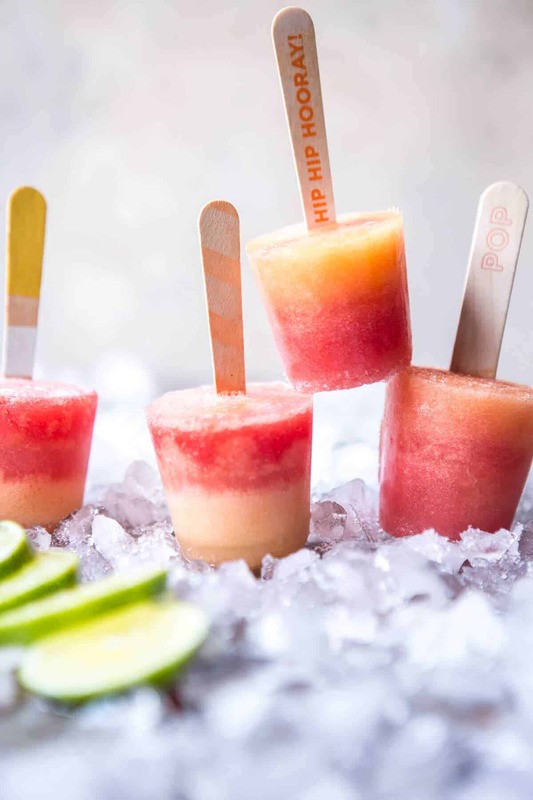 With all the hot weather we’ve been having across the country these Melon Lemonade Margarita Popsicles (from Half Baked Harvest) are just what the doctor ordered! Here’s to many delicious dishes in August, share what you’ll be making in the comments below!